Now that you’re able to access your buyers’ names and email addresses you can start building email marketing lists. But with great power comes great responsibility! Email marketing is an effective way to increase the lifetime value of a customer and encourage long lasting loyalty to your brand…but it’s important for you to be aware of the legalities of email marketing; most importantly anti-spam legislation that applies to commercial electronic messages. Log in to your Teespring account and go to “Messages.” From there you can group buyers from your listings and download lists of their emails. If you sell to different niches, example you focus on the “nurse” niche and the “trucker” niche, make sure to keep these lists separate; you want to make sure you personalize your email marketing campaigns to suit their preferences! The more you sell, the more buyers you can add to your list. You can also grow your email lists through the Facebook pages you manage and other online communities like blogs and forums. First, put together a list of contact information of people who want to hear from you. Try embedding email sign-up forms on your website or Facebook page. As you post content and drive traffic, your list will grow. Include a call-to-action (CTA) to drive sign-ups at the end of blog posts or in Facebook page posts. Be sure to collect your subscribers’ names and email addresses so that you can pen a personalized introduction to all of them. If you are running a large-scale website, you can find a more detailed guide to building an audience here. Segmenting, or divvying up, your list of buyers based on a specific criteria is a great way to send specific and relevant newsletters and product updates to your followers. Segmentation can include city of residence, age, product interest, and other custom criteria. If you’re just get started, the most important criteria you should keep in mind is the niche they belong to; you wouldn’t send the same products and messages to your “Nurse” customers as your “Trucker” customers right? Relevant emails will perform far better than more general emails in terms of opens, clicks, and conversions—as well as boost customer loyalty. Also, if you send people irrelevant content (like design themes that aren’t related to them) they could unsubscribe from your list! What kind of content should you send? The content featured in the emails should be determined by the audience—however there are a few elements you should always make sure to include when contacting people about Teespring listings. Always include the listing URL and try to include photos and/or promotional images when possible. You can ask people to help share the listing through email and social media and if you’re raising funds be sure to share more information about the cause. You can also use emails to share Teespring Promotions (discount codes) with past buyers to encourage new purchases! TRY THIS: Brainstorm 3 topics that could get past buyers excited about hearing from you again. For example; a limited time sale, a new design you think they’ll love or a new store you’ve just created. Write up your favorite one and email it! The more emails you send, the more you’ll learn about your audience in terms of email behavior—e.g., message click-through rate, device preference, what subject lines generate more opens, what products generate the most clicks, etc. Just remember to limit the number of times you contact the same group of buyers…you don’t want to annoy or overwhelm them with too many emails. If your list becomes too big to manage or you want tools to create professional looking emails, there are numerous email marketing services that can help. Some of the most popular email marketing platforms includes Mailchimp, Bronto, Streamsend, and Silverpop (Mailchimp is particularly user-friendly). If you have a large enough email list, it is good practice to test and keep track of which subject lines, body copy and imagery perform best with your audience so that you can always use the most effective ones. 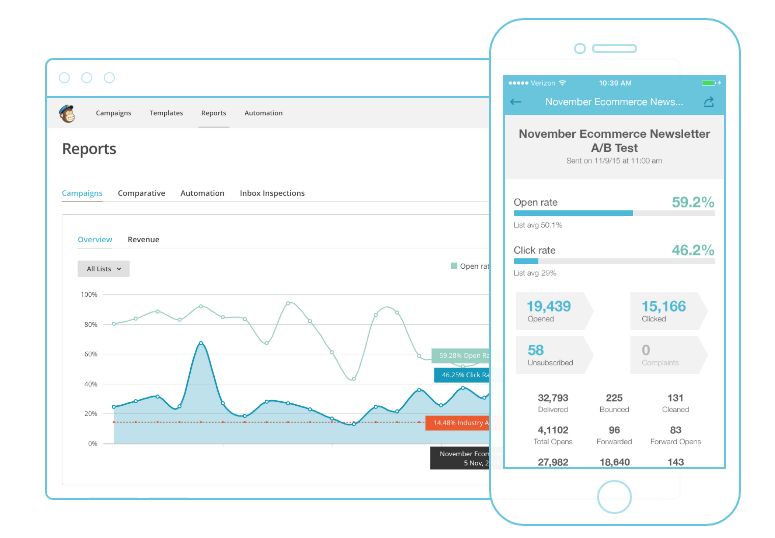 Most email marketing platforms will have built-in dashboards and tools to help you do this. Check out Vero’s Conversion Funnel Image for more information. Open rate: When looking at email marketing, the most relevant metric you should be paying attention to is “unique opens.” This refers to how many distinct people viewed your email, and excludes the individuals who may be opening over and over again. To boost this finding, you can test your “from name,” your subject line title, and the first few words of your email. Remember: when testing, only change one variable at a time! Otherwise you won’t know which variable is causing changes to your metrics. Click rate: In addition to unique opens, you should also be looking at your “unique clicks”. To optimize for a higher number of clicks, you can try adjusting the placement, color and design of your call-to-action buttons. You can also alter how you display your product image. Your audience may react better to seeing the front and the back of your tee versus just the front, or seeing the shirt on a live model versus a flat design. Conversion rate: A campaign’s “conversion rate” is the number of people who buy in relation to the number of people who land on a page. This information can be extremely helpful for measuring the success of a given email campaign. If the conversion rate from an email is low, it could suggest that the information was misleading or that the readers were expecting to find something other than what they did. For more specific metrics, you can add Google Analytics UTM Parameters to your in-email links to see how well different emails perform. For more information on how to do this, check out Vero’s guide here. TRY THIS: When you run your first email campaign, send two subject lines and see which has a higher unique open rate (this is called A/B testing). When you run your second email campaign, use the better performing subject line and alter the body copy to try to boost your unique click rate.